It’s almost 7am and the sky is just starting to get light. The moon is still up. 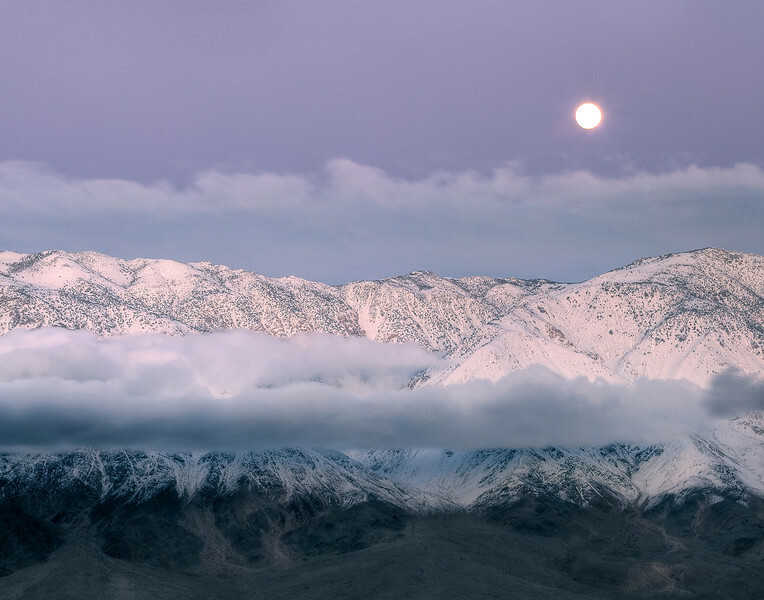 We’ve had the most amazing moonsets over the Sierra’s lately. I’ve enjoyed them as I have struggled to get my taxes done. Just sent off the final numbers. Now I just have to wait for the draft copy, review and sign and file! (And figure out how to pay what I owe….) And just under the wire before my extension expires- again! I am all too familiar with these thoughts and phrases: I’ll get to it tomorrow. I’m too busy. I’ve got other stuff to do. Can’t it wait? Invariably this is followed at some predictable point by OH CRAP! I’m LATE! I missed my deadline! I’m sunk! Why was I so stupid??? Why do I do this to myself? I mean, lets face it, for at least 32 years I have done taxes. I’m aware that they are due on April 15th. EVERY YEAR. Why can’t I just wrap up my paperwork at the end of the year, type up the numbers and be done? Then what did I do? April 15th rolled around and I filed ANOTHER extension. This is fairly typical of my personal life. For some reason I don’t do it at work. I like to do a task as soon as I’m asked because I hate being late. But personal tasks? Birthday cards are late. Christmas and Hannukah cards never get sent. (I have BOXES of them that I’ve bought over the years. Never sent.) Birthday presents never materialize. Right now I’m broke and I realized that it was actually a relief not to think about birthday gifts at all. What else? Oh right. Eating right. Exercising. Practicing good health. Right now? Nah! How about tomorrow? Or when I feel more rested? Or as soon as I finish this next big thing. You know what I’ve been learning about myself? I let things pile up and back up so that I have an excuse, whenever I want it, of something that really needs to be done. I can’t bike to work today because I need to work on the taxes. I can’t cook a healthy dinner tonight because I need to get these bills paid. I can’t go to the gym because I need to clean the kitchen before I go to work. I’ve been there. I’ve been 321 pounds and dying every single day with pain, disease and embarrassing physical limitations. Why would I ever go back to that life when I can move and live and do anything I want with my body now? But that’s what’s happening. I’ve put on some serious fat this past 6 months. The weight only tells part of the picture. The waist measurement tells a lot more. At one time my waist was 58 inches. Then I got down to 34. Now I’m back up to 37. 3 inches of fat I’ve added. And I never reached my goal. I think that is so sad. But hardly unexpected. This week I got to the gym for the first time in months. I biked to work yesterday and I’ll do that again today and Friday, but I really am not eating well. Right now I’m finishing breakfast of a slice of cold pizza and a glass of milk. What am I doing? Too many useless carbs, too much fat. That not only goes straight to my belly, makes me tired and sluggish and kills my blood sugar. I haven’t taken any meds for diabetes in 2 years. Do I really want to go back to insulin and glucophage? No. I don’t. So my very next meal is going to be cottage cheese and strawberries. Then a nice, low carb lunch. I’ll drink some protein drinks for my snacks and I’ll ask my husband to make something healthy for dinner. And please can we stop buying the ice cream and crackers and crap that are lying around right now? If its there, I’ll eat it, so it can’t be here, in my house. And I’ll stop ordering pizza for dinner when its just me and my son. Sure we enjoy it. But it isn’t good for either one of us. I was thinking about my next challenge and how to get back on track and survive the the winter here. I’ll ski at least once a week, probably two or three times some weeks when there is fresh powder. But I need to do more. So I’m thinking about registering for the Lake Tahoe Iron Girl. Much harder than the one in Atlanta. That means I’ll have to do more intense training. Wait! Wasn’t I going to take some of the exercise classes at work? Oh well. I’ll get to it.